To The Bros Email List! 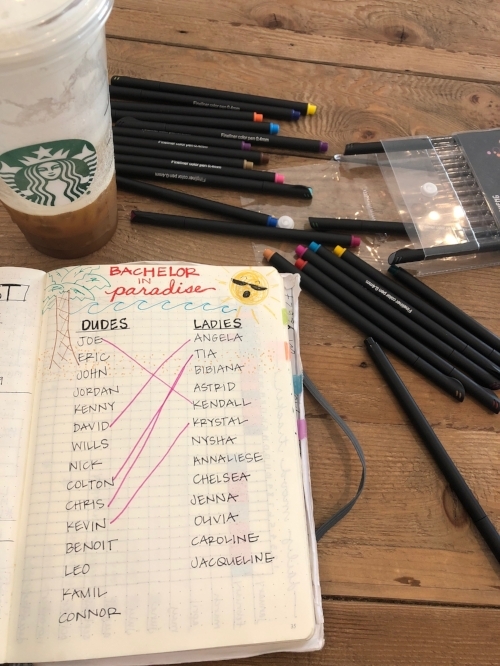 Navigation The Podcast Archive Bachelor in Paradise - Season 5 The Bachelorette - Season 15 (Becca Kufrin) The Bachelor - Season 22 (Ari "Ralph" Luyendyk Jr.) Bachelor in Paradise - Season 4 The Bachelorette - Season 13 (Rachel Lindsay) The Bachelor - Season 21 (Nick Viall) Listener Meetup! About Us Meet The Hosts Glossary Contact Us! Social Subscribe! SUBSCRIBE on iTunes Subscribe on Spotify Subscribe on Stitcher Subscribe on Google Music To The Bros Email List! Episode 050 :: Poor Long Dog Joe! Mostly though, we're just sad for poor Grocery Joe. (Come on, Kendall! Make better decisions!) And Matt learns what "long dog" means. In addition to all that, we wrap up our Dollar Drive (though you can always Venmo us money @brosbeforerose), respond to some emails and laugh like little girls. Finally, this episode (and maybe the whole year of Bachelor shows?) are brought to you by The Edgar Allen Poe Estate! Episode recap begins at 36:25! All this and oh so much more on this episode of Bros Before Rose! Leave iTunes Reviews, subscribe and more!!! Can you both dislike Colton and agree with him at the same time? Is "The Goose" going to continue to be a thing? Can't we just send him home? How do you say "crazy" in Japanese? Exactly how many "looks" does Jordan have? How does one clap their hands with their eyes? What's the point of a jock strap? Which BiP male contestant (!) seems to be showing off a whale-tail at one point??? How did Mr. Rogers get dragged into the Bachelor franchise? Finally... did Jordan just give the greatest monologue in Bachelor history??? ALSO... don't forget to support our podcast by sending ONE DOLLAR (that's it!) on Venmo to @brosbeforerose! Episode review begins at 29:21! Episode 048 :: In Paradise, Everyone Gets Crabs! If you know us, you know that THIS IS WHAT WE'RE HERE FOR! Welcome to Paradise! We've got it all this week. C-Dog Harry sweeping the beach? Check! Bachelor/Bachelorette rejects desperate for a second chance at fame love? (Including several none of us remember?) Check! Idiots who fell out of bunk beds wishing they could marry their mother? Check! A Canadian? Check! Episode recap begins at 24:46! BEFORE YOU READ THIS, please consider supporting our podcast by participating in our Dollar Drive! All you have to do is send ONE DOLLAR (that's it!) on Venmo to @brosbeforerose! THANK YOU!!!! This is it!!! The last episode of the season (and last episode before BiP!!!) takes us to The Maldives to see Becca make her final choice! And while the episode didn't have much to offer, we sure do! We've got Friends references, leg-wrap fantasies, listener conspiracies AND we attempt to assemble a metaphorical FIVE LAYER CAKE!!! Episode review begins at 43:22! We'll be back with a new episode on THURSDAY for the first episode of Bachelor in Paradise!!! Episode 046 :: Who The #@!$ Is Christian? Jeff and Shara are back and so is some dude named Christian who was wearing capri pants with his tuxedo! (WHAT?!?!?) We don't know who he is either and Jordan seems to really hate him when the men of this season get together for the annual Men Tell All Episode! Episode review begins at 17:55! It's another "Bro Before Rose" episode this week! While Jeff and Shara are out of town (RIP), we brought in some ringers to round out the panel with Matt and Stacy. 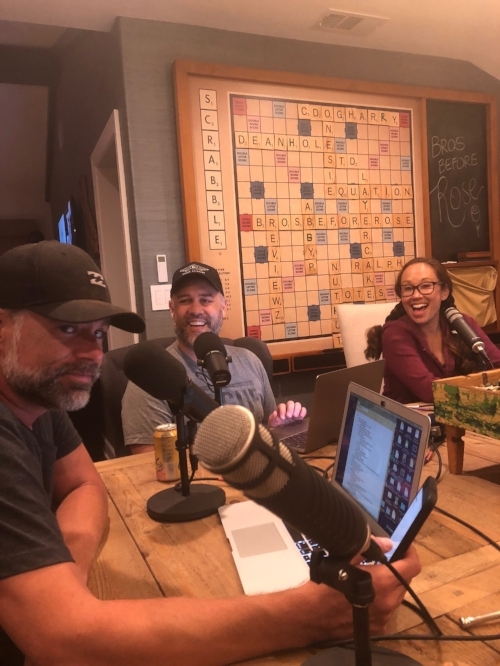 Guests Aubree Vanderhoeven (who runs the Bros social media) and Bekie Barnes (Matt's Bachelor-obsessed cousin) helped to take a boring episode of TV and turn it into a thoroughly entertaining podcast! This week, we're in Thailand (don't pretend you know where that is on the globe!) for Fantasy Suites Week with the final three! We watched as ABC filled 100% of the time of a regular episode with 30% of the content! 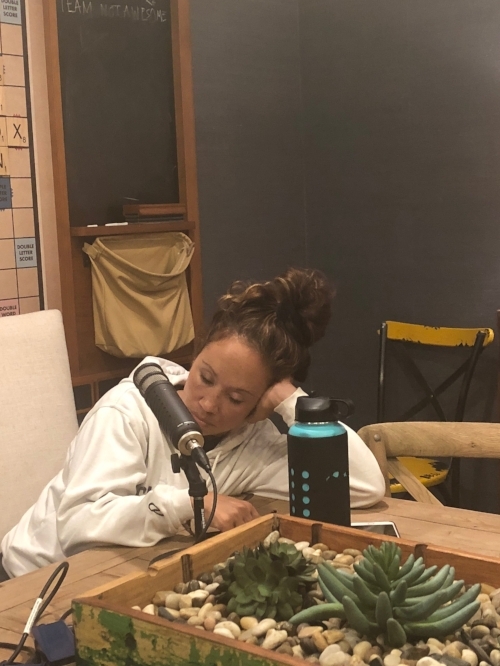 Don't worry though... we had a blast tearing this episode apart and getting into some of the deeper issues of this season! Episode review begins at 36:30! All this and oh so much more on this episode of Bro Before Rose! Episode 044 :: Holy Boring Hometowns, Batman! This was the yearly Hometown episode and while it was a boring as expected, we bring the fun and do our best to make it enjoyable and entertaining for you! First, let's say "RIP Jeff!" Yes... this is another episode of Bro Before Rose as Jeff is on a quest to discover the true meaning of layer cake. The latest episode of The Bachelorette takes us all the way to the Bahamas (decidedly better than Virginia) so we can see Becca squeeze as much innuendo out of the word "conch" as is humanly possible. Plus, we discuss leg-wraps, Shara shares her own euphemisms (egg plants and slotted spoons?) and we all continue to ponder the metaphor of the layer cake! Episode review begins at 27:12! Let's just start with an apology. We're (kinda) sorry for the insanity of this episode! Everything goes off the rails pretty quickly and we can only hope that you'll laugh as much as we did! As for this episode of The Bachelorette, we're in Virginia (why?) and Chris and Lincoln are HUGE idiots. And... that pretty much sums it up! PS... Jeff really only had like 1/2 a glass of wine and was definitely not drunk. We were just joking in case anyone cares! Also... here's the YouTube video we talked about. We challenge you to watch it and keep a straight face the whole time! Before we get to the recap (which begins at exactly the 30:00 mark! 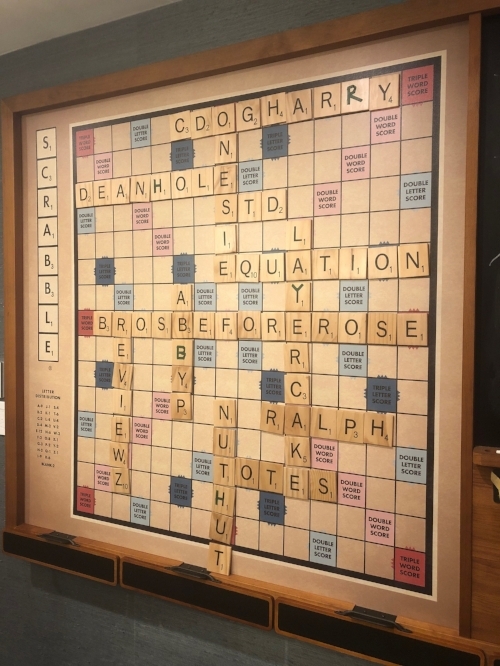 ), we explain why our episodes are as long as they are and explore Jeff's hatred of abbreviated and/or combined words. 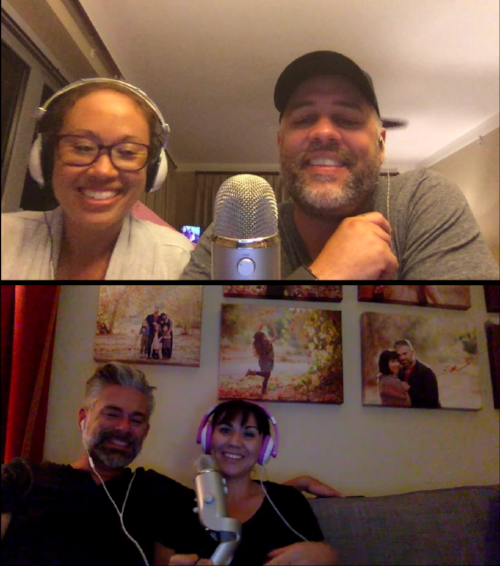 We read and respond to some emails and laugh a lot and then we talk about The Bachelorette! We're in Las Vegas this week and, even on this season's slashed budget (thanks, Ralph! ), we manage to have a little fun! (Very little.) The real news though is that Wayne Newton challenges the guys to write songs and they're horrible; Chris is a whiny baby who should have been sent home; Jordan isn't as bad as some may have thought (though still dumb as a sack of hammers) and David is the worst. Oh yeah... and we take a moment (or two) to acknowledge the millions of people (and brands) suffering from BFD (Blurry Face Disorder). Ashley I and Jared got engaged! Bekah M. and Tia fought on Twitter! Lincoln was in the news (and it wasn't good)! How Garrett got the first leg-wrap of the season and it lasted six whole seconds! The truly terrifying disease known as BFD. Episode 039 :: "And The Emmy Goes To... Richard Marx!" Richard Effing Marx. What else is there to say? Okay, fine. We'll say more. In this episode, Jeff is missing so Matt is a lone bro discovering what it means to be a Wilhelmina model who wears nail polish and got 4,000 matches on Tinder in 2017 alone. 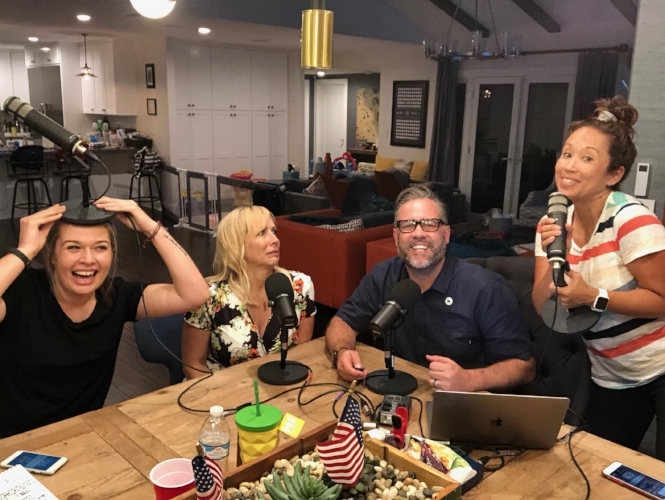 Fortunately, Stacy and Shara were along for the ride to help him out until politics got in the way and an SNL sketch featuring Donald Trump and Kim Jong-Un going on a group date interrupted our regular programming. So much to talk about!